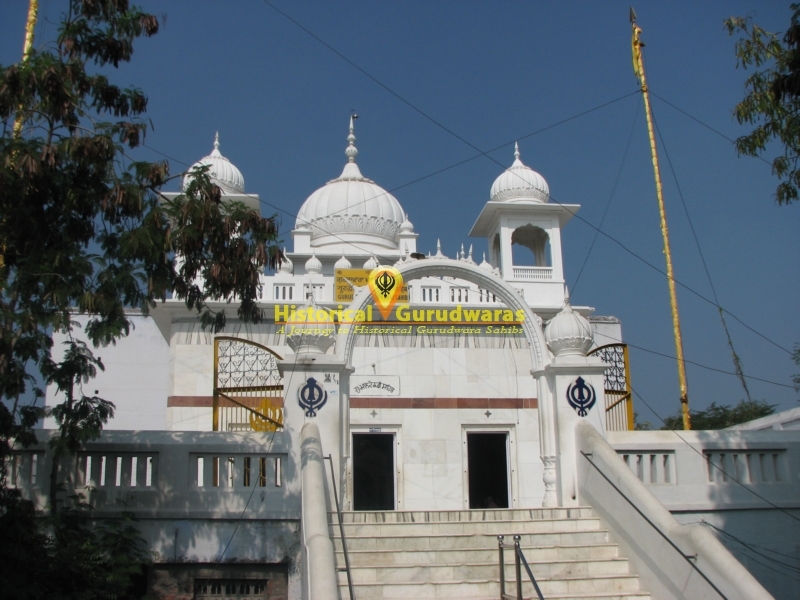 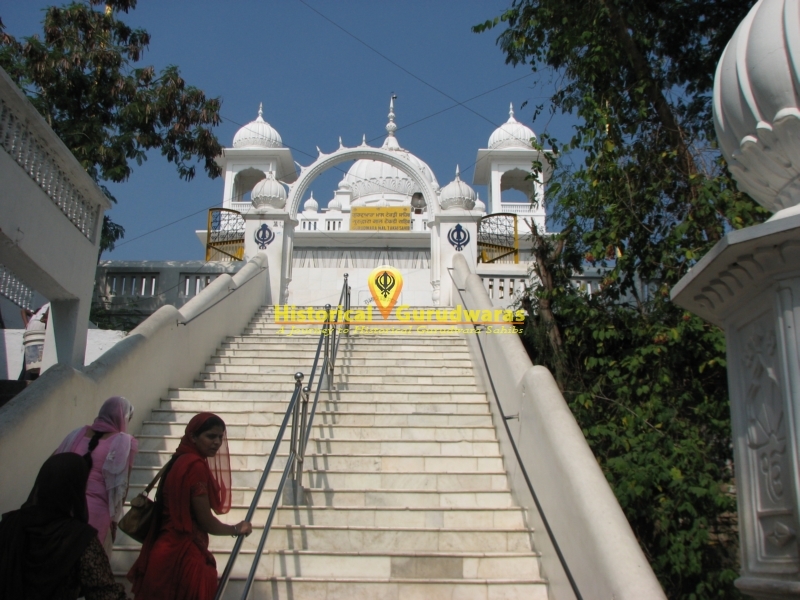 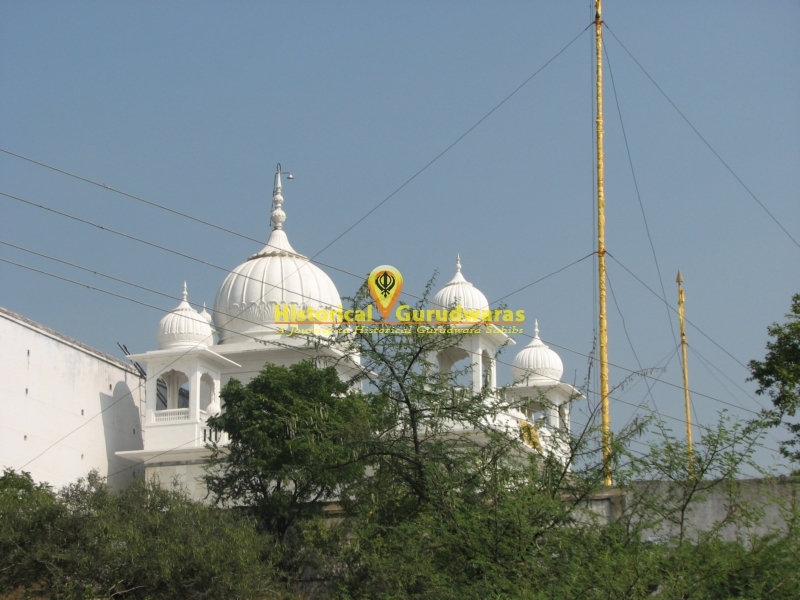 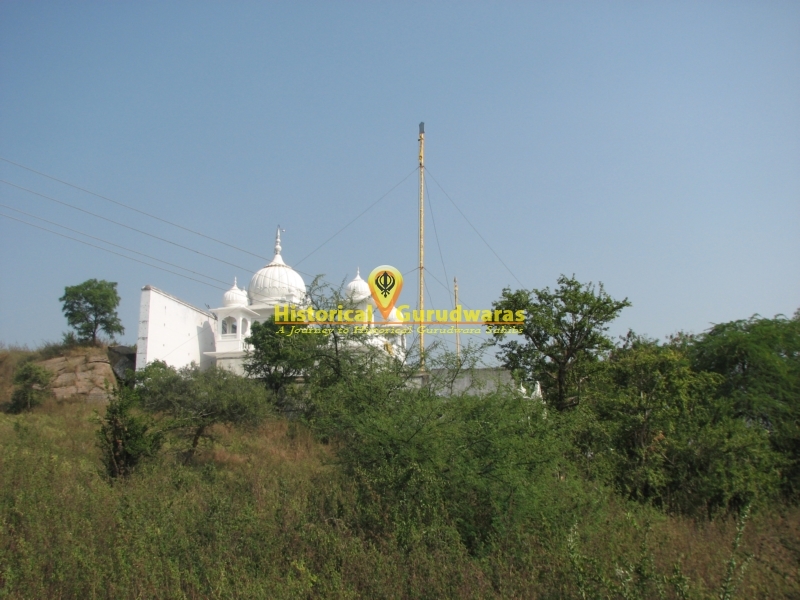 GURUDWARA SHRI MAALTEKRI SAHIB is situated in Distt City Nanded, Maharashtra. 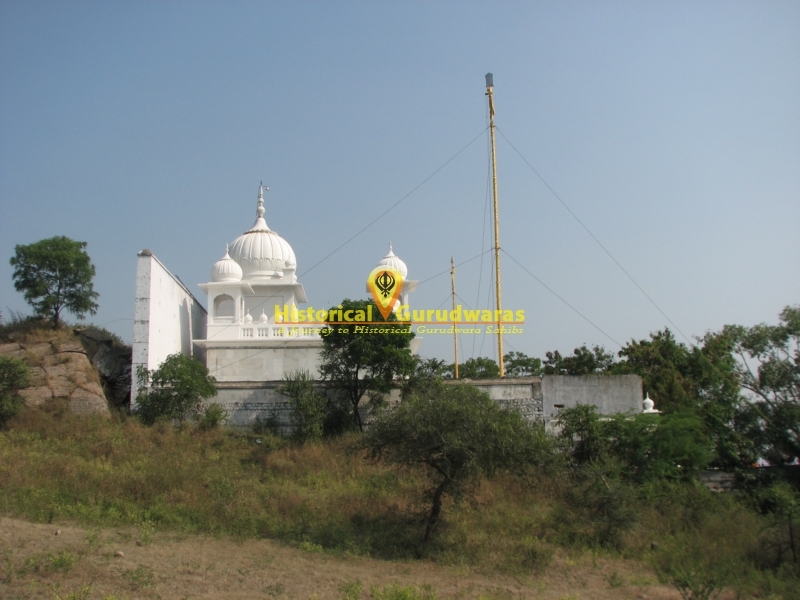 Situated on Nanded-Akola road, Just five Km from SACHKHAND SHRI HAZUR SAHIB, marks the Historical Place Visited by SHRI GURU NANAK DEV JI and SHRI GURU GOBIND SINGH JI. 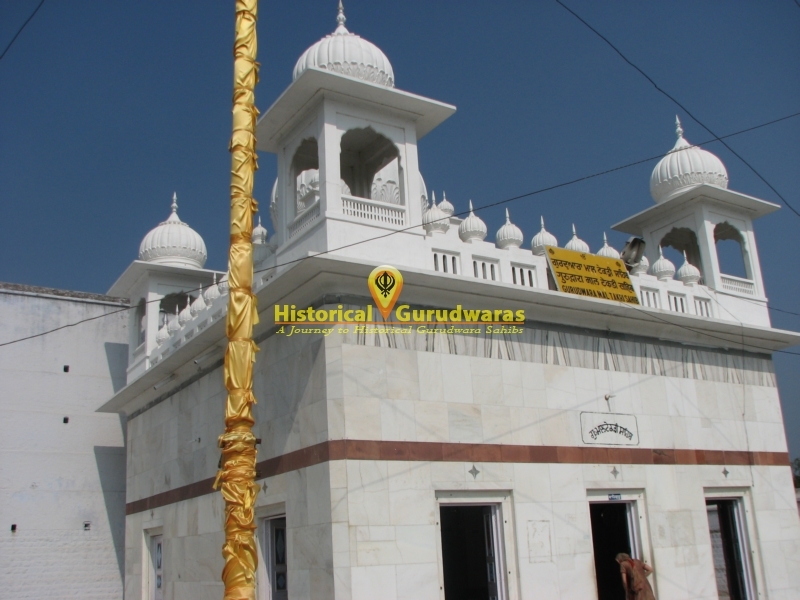 Here money was buried from time of SHRI GURU NANAK DEV JI, SHRI GURU HARGOBIND SAHIB JI send Lakkad Shah fakir from punjab to take care of this place. 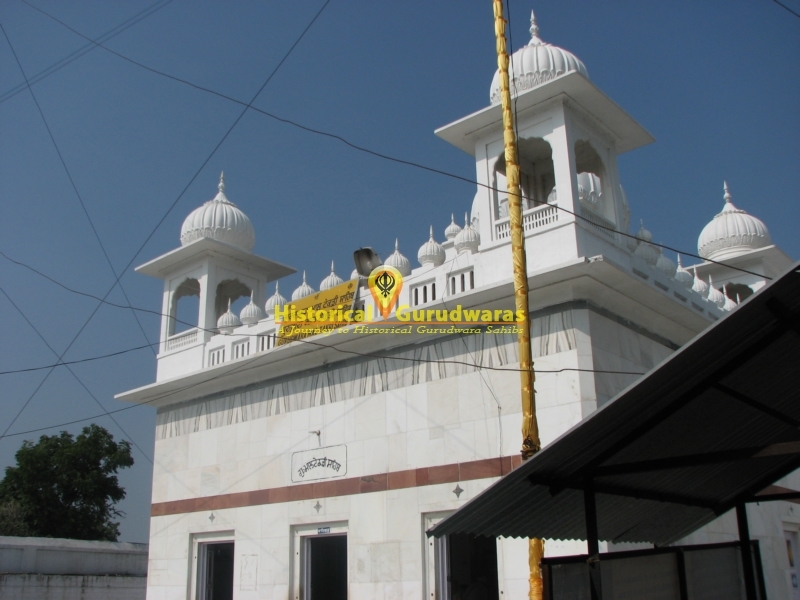 For which he used to get two Mohars (Coins) daily. 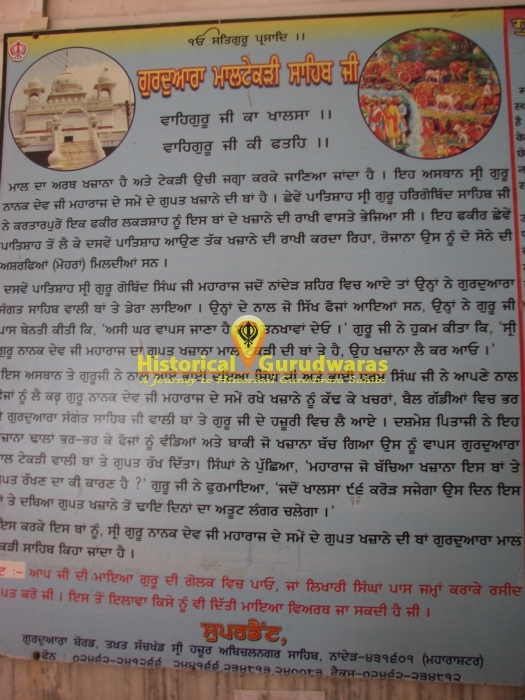 When SHRI GURU GOBIND SINGH JI had to distribute salaries among the army, GURU SAHIB got this Khazana dug. 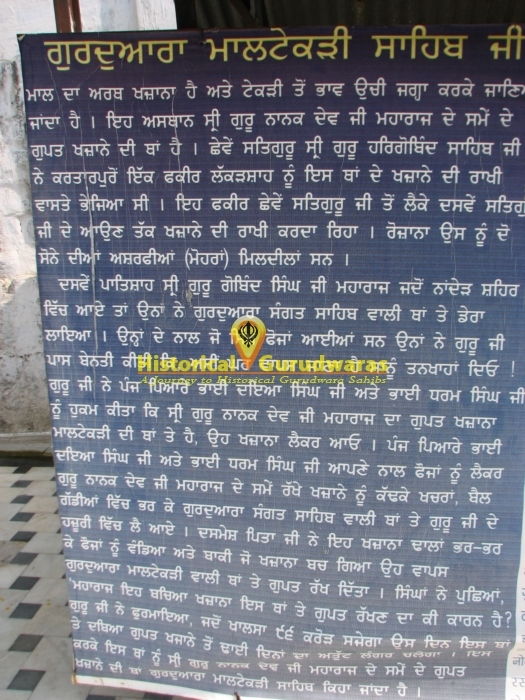 Army took this money to place where GURUDWARA SHRI SANGAT SAHIB is situated and was distributed among the GURU SAHIB's army as well as Bahadur Shah's Army. 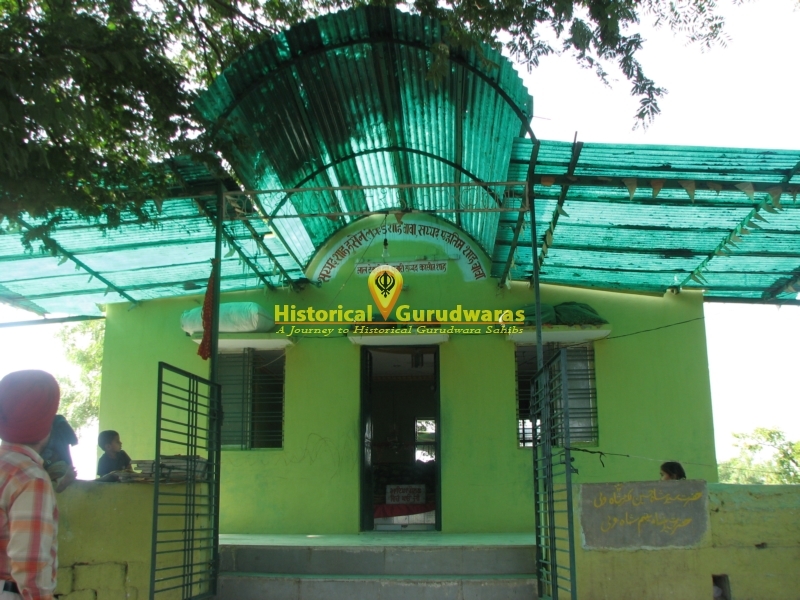 Rest of the money was buried here back. 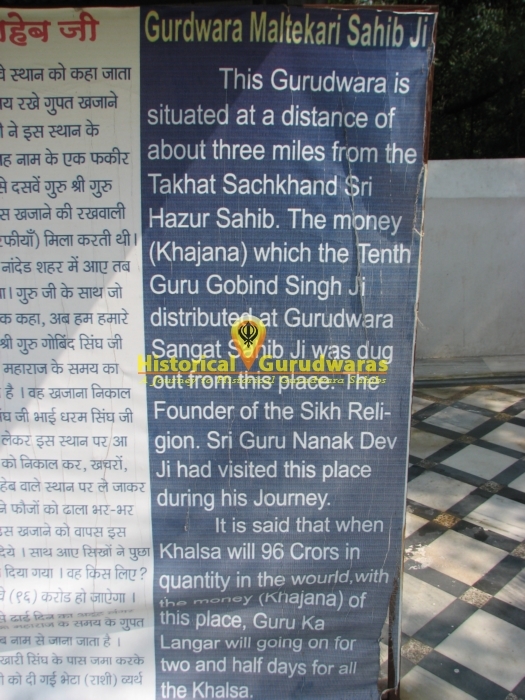 And GURU SAHIB told that when the KHALSA will be 96 Crores then this money would be dug again and there will be langar for two and half days. 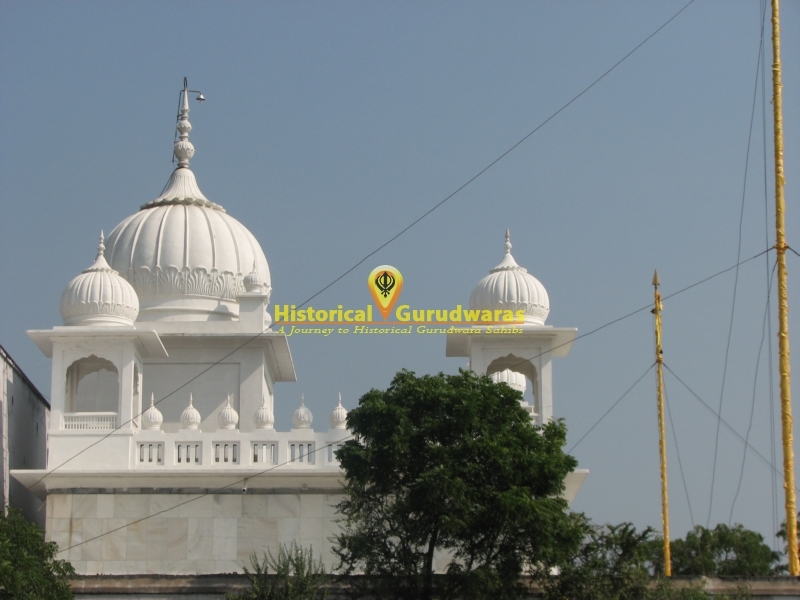 Dargah of Lakkad Shah Fakir is just behind the GURUDWARA SAHIB.